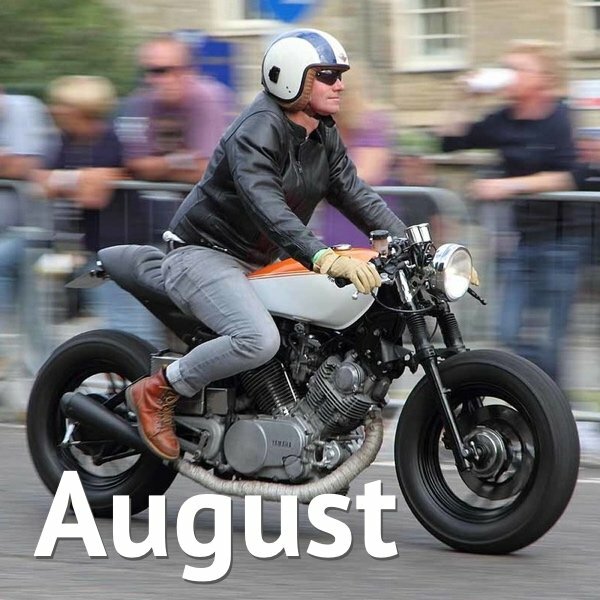 Biker & Bike’s December Motorcycle Events Calendar lists all of the premier motorcycle events in the UK (and quite a few smaller and local ones). A women-only motorcycle and outdoor adventure weekend. This event is confirmed for 2019 at the time of writing, but considering the success of last year’s event we expect it to happen again this year. A women’s only outdoor & adventure weekend showcasing, celebrating & supporting incredible women doing awesome things. 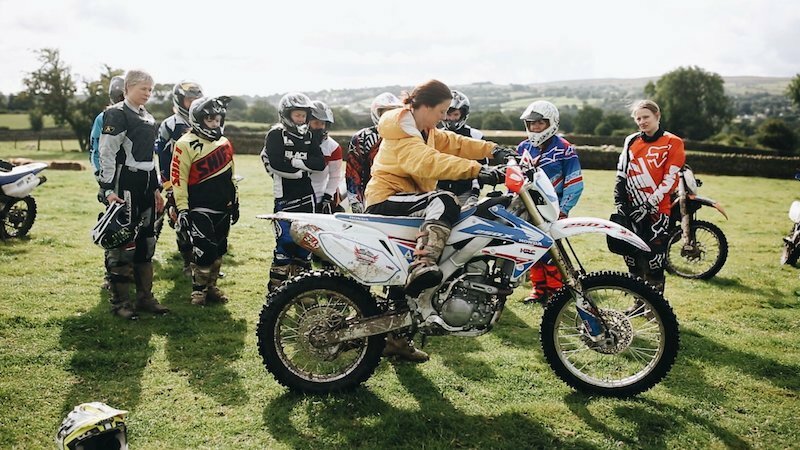 Get set for a whole weekend of motorcycles, camping, ride outs, beginner’s moto riding lessons, skateboarding, dirt-biking, free workshops, film screenings, live talks & discussions from inspiring women in adventure & sports, photography, live music, partying & more set in the beautiful Brecon Beacons, in Wales! The 7th round of the Championship is at the Thruxton circuit in Hampshire. Each Bennetts BSB event also features a busy timetable of regular support races, including the Dickies British Supersport Championship, Hel British Motostar Championship, Pirelli National Superstock 1000 and Pirelli National Superstock 600. The Stroud Vintage Transport & Engine Club (SVTEC) stage their Annual Show is widely regarded as one of the biggest and best Steam, Vintage and Countryside events in the UK. One of the largest displays is the Motorcycle section which will feature over 300 entries representing manufacturers from England, Italy, Japan, India, the USA and other countries. Among the marques on display are Honda, Yamaha, Harley Davidson, Moto Guzzi, HRD, AGS, James, Triumph, Royal Enfield, Rudge, Baker, BMW, Norton, Velocette, BSA, Panther, Francis Barnett, Matchless and Greeves. There will also be an abundance of Lambretta’s to celebrate the mods and rockers era. The Donington Classic Motorcycle Festival will return will return with up to 50 races across the three days courtesy of the Classic Racing Motorcycle Club (CRMC), as well as parades and massive display areas, with event regular Steve Parrish also confirmed to return again. Only a few years old and LlanFest seriously punches above its weight. As well as displays, stunts and the usual fare from traders, recent years’ highlights have included visits from biking royalty like 15 times World Championship titles winner Giacomo Agostini. This year sees an increase in adventure and Round The World travel writers plus there is the opportunity to have some fun on the nearby Horseshoe Pass. A series of classic bike sprints with road and race categories, plus club displays and trade stands. This year there will also be celebrity appearances and e-bike demonstrations, as well as family-orientated activities, live music and food. Camping is available if you want to make a weekend of it and the Kent Mining Heritage Centre is also on site. Introduced in 1962 this event is run in memory of Graham Walker (1896-1962) who was for many years Sunbeam Club Chairman and later President. Earlier he had been a leading Norton, Sunbeam and Rudge works rider winning the 1928 Ulster Grand Prix and 1931 IoM Lightweight TT. For veteran, vintage and post vintage (pre-1940) machines. This is an ideal event for riders of veteran motorcycles or for those first starting out with a vintage or post vintage motorcycle due to the flat countryside. Awards are presented by his son Murray Walker or Lord Montagu, both Vice Presidents of the SMCC. See, this is what our taxes should be used for more: turning RAF airfields into bike tracks for the day. This 3.2 mile track is made available and has been, “custom designed with the motorcyclist in mind, and features a mixture of sweeping bends, fast straights, and complex chicanes, with something to appeal to every rider… the layout provides sufficient variety to keep riders interested, yet is short enough that it can be learnt and ridden close to perfection within the day.” Can’t say fairer than that, and the non-riders are kept happy too, with stalls, food, bouncy castles (and sumo suits!) and more. Brackley makes you proud to be British. Since 2009 this little town opens its arms, high street and school sports fields to cuddle BSB race teams, cafe racers, Moto GP bikes, stunt teams, bike displays, owner’s clubs, manufacturers, traders and food sellers, making this family-friendly event truly a proper festival of motorcycling that raises money for air ambulances and blood bikes. Thank you, Brackley. Especially the organisers. The 8th round of the Championship is at the beautiful Cadwell Park circuit. Each Bennetts BSB event also features a busy timetable of regular support races, including the Dickies British Supersport Championship, Hel British Motostar Championship, Pirelli National Superstock 1000 and Pirelli National Superstock 600. Details are yet to be confirmed, but there will be a commemorative ale once again. There will also be a ride-out, although the location has yet to be decided. Maximum numbers for the rally will be 250. Each year Bristol’s Old City area is taken over by the motorcycling community with this free event run by volunteers. As well as motorcycle club displays, trade stands and representatives from a range of motorcycle organisations attending there are live bands playing throughout the day. Anyone can park up and show their ride: There is no need to book in advance – just turn up before 10 am on the day, and go to the control point to register. If you don’t want to display there is ample free parking – just follow the marshals. A repeat of last year’s hugely successful festival of bikes on display, trade stands (including local dealers, food outlets and activities for kids. The follow day sees a mass ride-out to the event, listed below. Now officially part of the Ocean City Motorcycle Festival, the MegaRide™ is now one of the UK’s largest charity motorcycle ride outs, with thousands of motorcyclists taking part, not including the pillion passengers or the vast number of spectators that show up on the day for the ride to Plymouth Hoe where the bikers are greeted with a huge array of trade stands, catering stands, live music and even fair rides for the kids. If you can’t make to the TT ‘proper’ this is the next best thing as you still get the festival atmosphere and you still get plenty of bike going hell-for-leather around the TT course. In fact, some argue it’s better – easier to get to and the Main TT doesn’t have the Festival of Jury, where tens of thousands of TT goers and locals alike gorge on a diet of superb machinery, some of more modern than you might realise. It’s easier to get over the island for the Classic TT too. Primarily a music festival run by the Dunedin Chapter of the Harley Owners Group, there is much more to Thunder in the Glens than a few great bands (Big Country last year, no less). Assuming you can take your eyes off the local scenery, there are biking demos (if you don’t turn up on a Hog you can try one), custom shows and the highlights of the biking aspect of the weekend, mass ride-outs (puts the thunder in Thunder in the Glens). The event has run for the past two years but at the time of writing 2019 hadn’t yet been confirmed – check the link below. Expect classics to race bikes, from custom to service bikes. Billed as the motorbike festival run by bikers for bikers and families alike. Bolney is a new summer event run in conjunction with Sunday’s Summer Pioneer Run enabling riders to enjoy a vintage event on the Saturday followed by a Sunday ride out on veterans. Now in its 15th year, Dawn to Dusk Enduro returns to be the biggest and best endurance race in the UK. Taking place in the beautiful Brecon Beacons at Glynneath over the 24th and 25th August Bank Holiday. With numbers rising everyday be part of over 400 riders, 2000 spectators and a wealth of exhibitors, who’ll enjoy the very best of what South Wales has to offer. The Cheshire Classic Car and Motorcycle Show is held over three months each summer, with this the final event of the year. 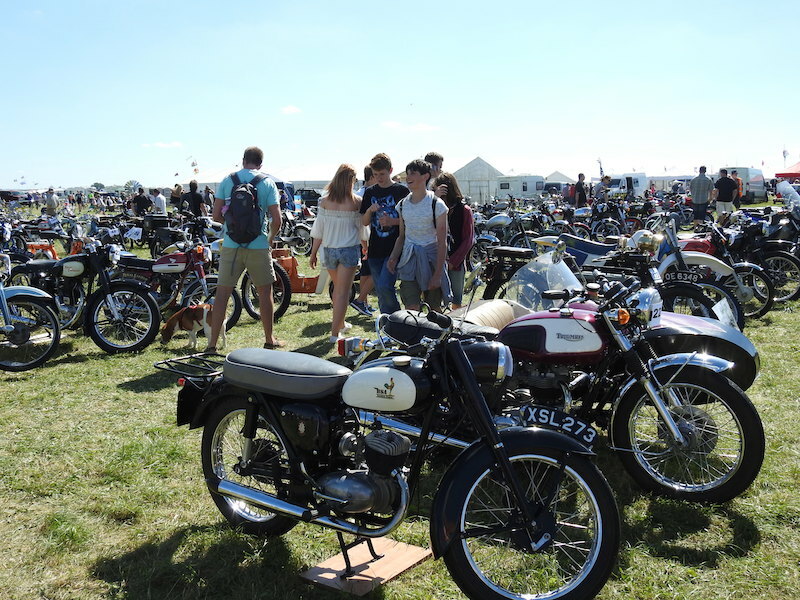 The emphasis is on the bigger four-wheeled scene but there is still plenty to see for motorcyclists, including displays, trade stalls and auto jumble. Aautojumbleevents from Classic Shows, if you turn up and display a pre-2004 motorcycle the entry price is reduced to just £3 (maximum two people per bike entry). For the adventure riders and dreamers, Overland is the perfect place to be inspired by and plan a motorcycle trip. A whole weekend dedicated to motorcycle travel, you’ll find author presentations, practical workshops, film shows, travel info and contact boards and exhibitions of kit and bikes. 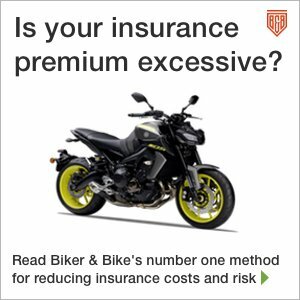 You can even do a bit of off-roading and take new bikes for test rides. There’s plenty of entertainment too. See you there. The 6th round in the annual calendar, the Classic Racing Motorcycle CLub’s race weekends are a great way to watch motorsport close up in a friendly atmosphere. As well as often fiercely competitive action on the track spectators are free to wander around the race paddock and get up close to the competitors and their wonderful classic race bikes. Each event also features a parade lap. Prices were not confirmed at the time of writing so please check the website below closer to the event. 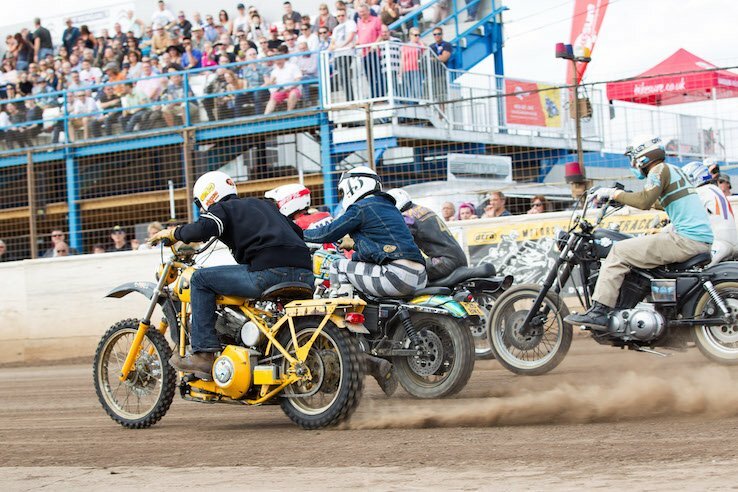 2019’s NG Motorcycle Grand National will once again feature gripping competitive action (with over 20 races held each day), as well as bringing some very familiar celebrity faces along to further impress the crowds. Carl Fogarty will be here, with it being exactly 30 years since his famous victory here and setting the outright lap record. 2019 will act as a celebration to commemorate one of Britain’s greatest motorcycle racers, the legendary Barry Sheene and his 50 year association with the circuit. Billed as the ‘Welsh TT’ this event has got us beyond excited last year, simply because there won’t be the pain of having to beg, borrow or steal a ferry crossing to the Isle of Man. A shame then, that the organisers have had to cancel the event. As soon as we have a confirmed date we’ll post full details. “The Secretary of State for Defence has granted us a license to use the historic road circuit within the heart of the Crown estate & the race will be held on the originally track used to stage the Eppynt Motor Cycle Road Races between 1948 & 1953. The event will also incorporate a parade of classic & exotic machinery. Prices: Day tickets from £30, weekend from £50. Concessions and camping are available.